Digestive Biscuits or the so-called Graham Crackers are very common nowadays. Easily available everywhere. 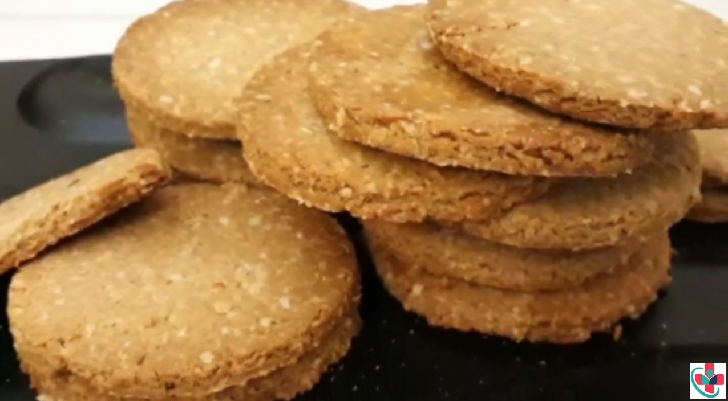 But what about Homemade Digestive Biscuits? Especially when it is so easy to make and that too with very few ingredients. 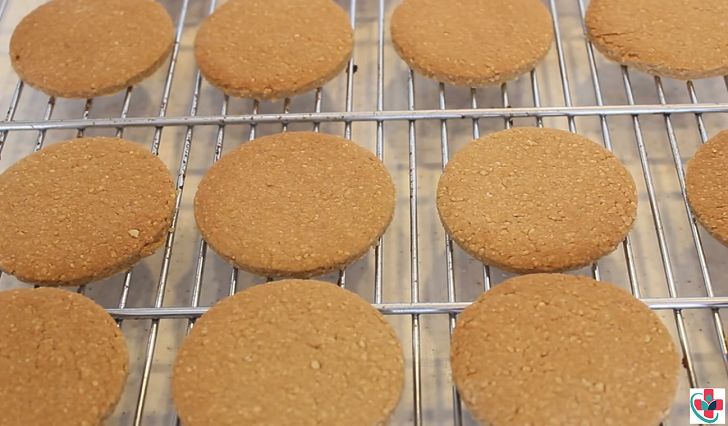 Another plus point of homemade digestive biscuits is that you know very well what exactly you are using and can increase or decrease the quantity of certain ingredients ( of course not all ). Had very few ingredients left in my pantry, not doing much of cooking and trying to use all the leftovers. Baked these crunchy digestive biscuits, which have a very nice flavor. They are mildly sweet and buttery. The taste is almost the same as store bought ones. When I made them first, I never thought that they would taste so good. The use of whole wheat flour and oats totally works like a winner for this recipe. Also, using brown sugar is recommended to retain it as a healthy option. The amount of butter that goes into the biscuit is also minimum so I’m sure you remain guilt-free while consuming these homemade treats. Pair them with a cup of tea or coffee, simply snack on them or just go ahead make some cheesecake base or pie base out of them. So without wasting much of the time, here is the recipe. ⏩In a mixing bowl, take both the flours, sugar, baking soda and mix well. ⏩Now add in the room temperature butter and mix it with your fingers. You will get a breadcrumb kind of a texture. ⏩Now add a couple of tbsps of milk and try to form a dough. Don't overwork with it. ⏩Cover the dough with a cling wrap and keep it in the refrigerator for 10-15 minutes. Doing this will make the dough workable and you can easily roll it. ⏩Take the dough out and roll it thin (approx ¹/₄ cm) and cut it into desired shapes. I might be a little difficult to roll it as it might tier but no need to worry, just accumulate with your palms and roll. ⏩Place them on a baking tray lined with Baking paper/silicone mat. ⏩Bake them into a preheated oven at 180°C for 15-18 minutes (depending on the oven). Mine were done for exactly 17 minutes and also for a nice golden colour I kept them on broil for 30 secs. ⏩Place them on a cooling rack and let them cool completely. Store in an airtight container.